This recipe is so simple, and yet is the tastiest butternut soup ever! I am quite sure that the chili pepper has a great deal to do with its success, it really is just a hint of a burn, but brings out the rich, nutty flavor of the perfectly. In a large microwave-safe dish combine squash, onions, and butter. Cover and microwave on high for 4 minutes. Peel squash. Stir in broth and cook on high for another 20 to 25 minutes, or until squash is tender. 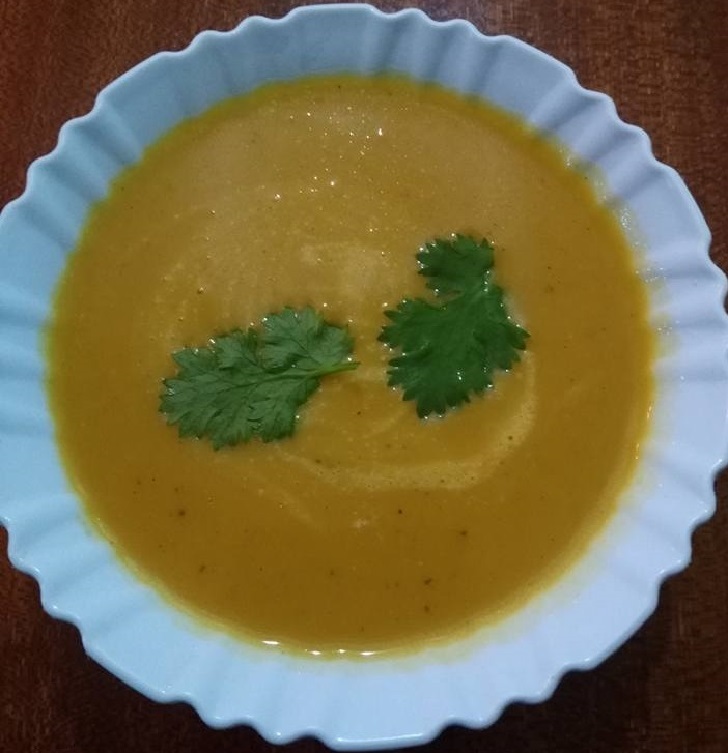 Puree squash, onions, and broth in a food processor or blender. Add cream, salt and pepper, and microwave on high for another 3 to 4 minutes, or until heated through. Flavor with nutmeg, cloves, and cinnamon to taste.